The IN3425PE is a versatile ionizing air nozzle that can handle many unique, narrow area applications hands-free. 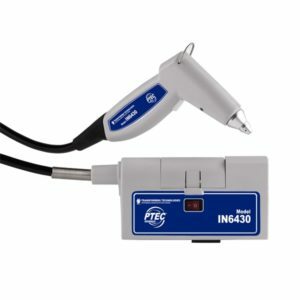 The Ptec™ IN3425PE ionizing nozzle is a small, mountable ionizer that can quickly remove static in hard to reach areas. 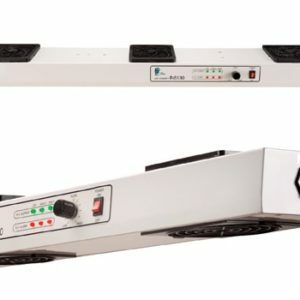 A proximity sensing photoelectric eye controls the power and air flow for easy hands-free ionization. With their small size, the IN3425PE narrow area ionizing nozzle can be used to eliminate static electricity from a focused point. Combined with a high air supply pressure, the spot-type static eliminators can be used to blow off dust and contaminates, separate clinging materials all while eliminating static electricity.With a variety of tip attachments, the IN3425PE can be used in varying configurations in focused areas. The photoelectric sensing eye is adjustable up to 14inches. 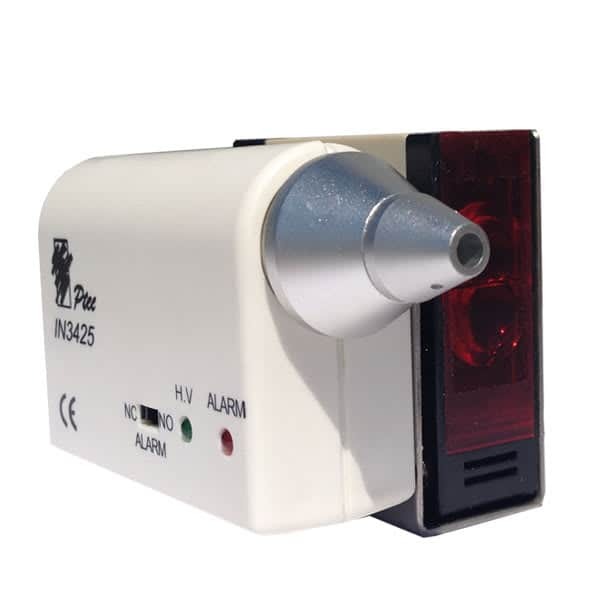 The ionizer only produces ions when objects are in proximity of the sensor, there is a version that produces ions continuously when powered on: model number IN3425. A specialized piezoceramic high voltage transformer drives the technology making Ptec™ ionizers among the most reliable ionizers available. The model IN3425PE air ionizing nozzle produces a 68KHz AC output of approximately 2200V and a continuous stream of balanced air ions. The IN3425PE works efficiently with clean dry air (CDA) and nitrogen (N2) and is capable of 100 psi input. Stable, small and free from EMI, the IN3425PE is equipped with auto ion balance and will alarm if the high voltage output fails. Ptec™ ionizers save time and money because they require no calibration. Emitter life is increased and maintenance frequency is reduced, due to 68KHz AC ion emission. 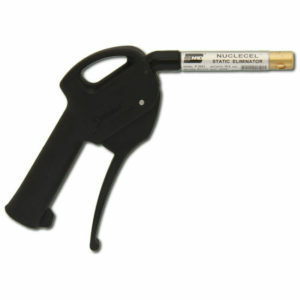 The emitter tip can be cleaned with isopropyl alcohol and a clean cloth periodically to maintain performance. 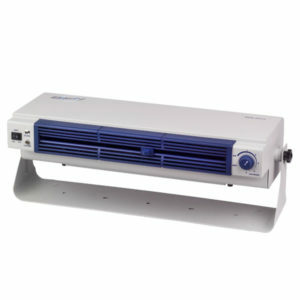 The IN3425PE can work on all power circuits, from 100-240volts, without any adjustments. This means the standard ionizer can be used in many different countries and power circuits and performance will not be affected. The FL0020 micro filter features a hollow fiber membrane that provides excellent filtration and has a long service life. The compact design is easy to install and comes with quick release connections for fast replacement. All materials used are compatible for the most stringent applications. Learn more about the FL0020 here. Change the airflow from the IN3425PE nozzle can handle unique and difficult point-of-use ionization applications with interchangeable nozzle tips. 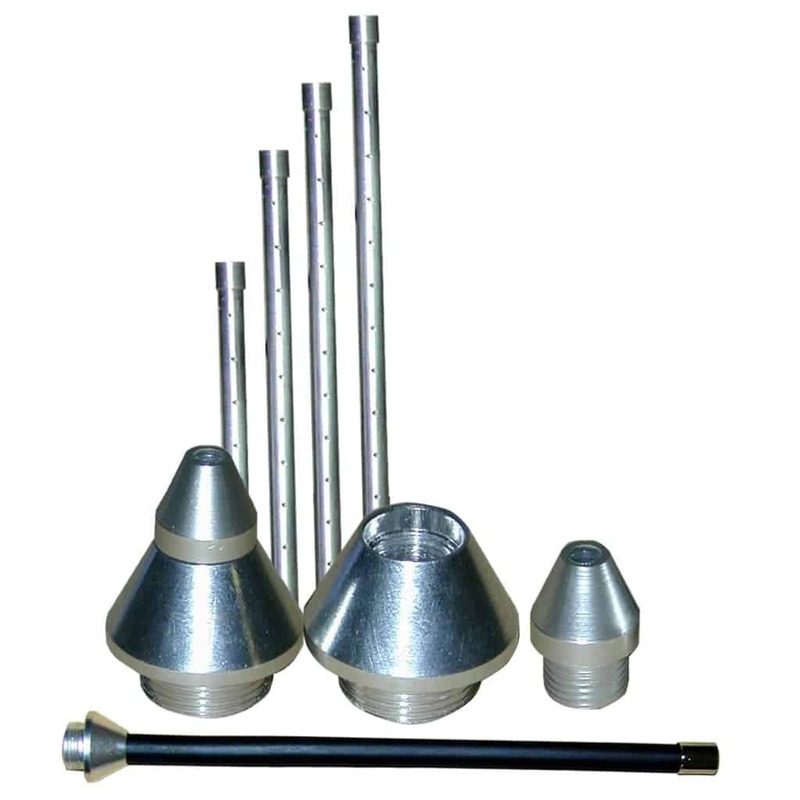 Wide angle, long range, bendable, luer lock or manifold tips may be substituted depending on the application. Learn more about the Output Nozzle Tips here. The IN3425PE nozzle comes factory calibrated and with a calibration certificate. Important tests to perform are positive and negative decay times and ion balance. 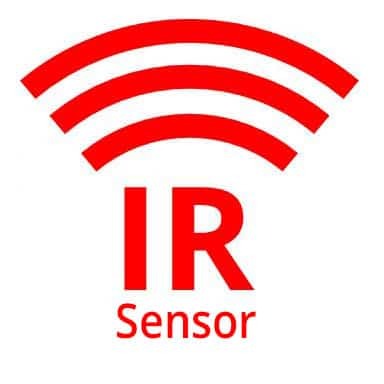 Ionizers can be verified with a charge plate monitor. Less Than 2secs at 6in.